Your kitchen is more than just a place to prepare dinner, it’s the heart of your home. And for many, it’s a passion. Cooking, baking and creating are just some of the things we do in our beautiful kitchens. Luckily, in the past 20 or so years, our cooking experience has been enhanced by the introduction of appliances. Imagine trying to whip cream without an electric whisk? Torture! Thank goodness for appliances. But, other than the obvious, what are some essential appliances you should keep in your kitchen? 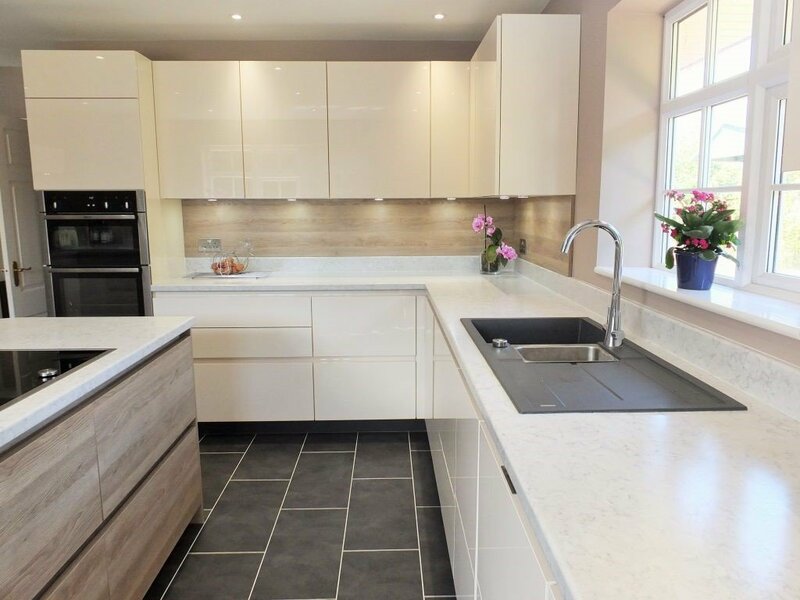 We spoke to Roman Kitchens, specialists of kitchen design in Essex, about all the essential items they recommend for their customers, to put in their new kitchens. Yes, the most functional kitchens in Essex have all of these essential appliances included in them! Some built in, and some not, but what you can be sure of is that these appliances make it a lot easier for the owners. From amateur chefs and food connoisseurs, these appliances allow them to prepare delicious dishes and make their lives a little easier with these key appliances in the heart of their home. 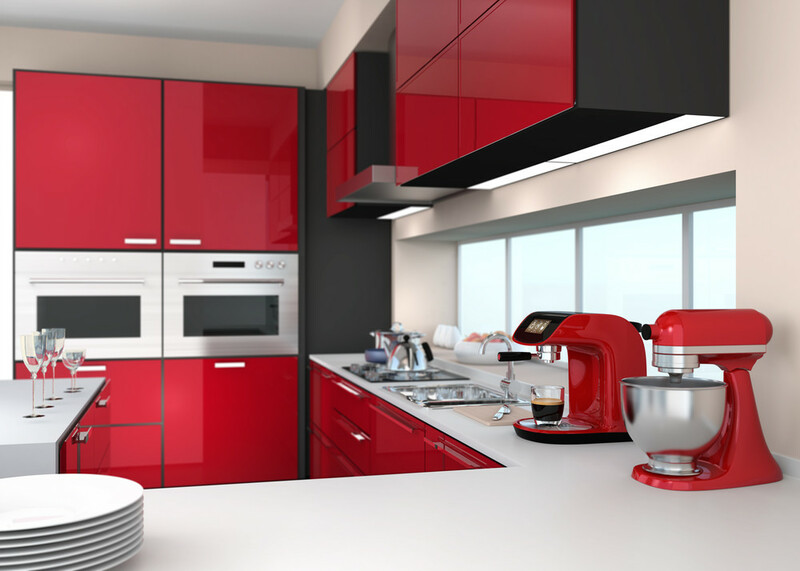 Therefore, we’ve complied a list of 7 essential appliances you should include in your kitchen! Let’s get into it. One of the handiest appliances you should include in your kitchen is the food processor. It chops, it grinds, it crushes, it blends, it does a whole host of things that can save you time and help you create the finer dishes in your kitchen. You can use it to grind up meat for Bolognese, or even use the blend function to make soup, it’s a great tool that really speeds up the cooking process. The bigger one you get, the more you’ll be able to fit in! So, think about the amount of people you’re going to be cooking for. If your oven doesn’t have a slow cooking function, then this device is so handy for making some delicious recipes. Slow cookers cook the food, well, slowly, and it’s great for things like casseroles or stews. Meat cooked in a slow cooker pretty much falls off the bone, whilst being juicy and tasting so good. It’s so simple to use too, simply out all your ingredients into it, turn it on, and let it do it’s thing. It cooks slowly overtime, and typically doesn’t consume that much power either. It’s a great little appliance to use when you’re cooking for loads of people, and don’t have the time! It can be left overnight, or even throughout the day to cook away and make some tasty grub. Those fancy coffees that you have in lovely cafes can be made at home! Yes, with an espresso machine, you can pretty much use it to create all of your favourite hot beverages at the touch of a button. You can get these appliances in all different shapes and sizes, so not matter the size of your kitchen, there’s an espresso machine that can fit your home. Some come with a home milk steamer, to help you create those lovely long lattes. The coffee pods that go into the machine can be ordered online, which is super convenient. It will be some of the best coffee you’ve tasted, and it will taste even better knowing you’ve made it yourself (and it didn’t cost you £4 a cup!). Now, whilst a food processor can blend, it doesn’t do it as well as a classic blender. The blades are sharper and rotate a lot faster, producing smooth smoothies in a matter of seconds. The better the blender, the quicker the smoothie – and we all love quick smoothie! But blenders can make more than just smoothies. Anything that requires you to grind and blend ingredients into a smooth consistency can be created in a blender. They’re great appliances for those on the go too! With many now having the attachable bottle feature, meaning you can blend drinks right into a bottle, grab the lid and go! Always make sure the lid of your blender is secure before you blend, otherwise your ceiling may get a fresh pop of colour. This device is one that needs to be plumbed into your kitchen, but it’s a great appliance that is slowly making its way into every kitchen around the country. It basically removes the need for you to have an electric or stove kettle in your kitchen. It allows steaming, boiling clean water to come directly from a special tap. So, no more overfilling that kettle with wasteful water! They’ll always be enough water for everyone to have a cuppa. It makes things extra convenient and a lot easier for those in the kitchen. No more waiting for the saucepan to boil, just boiling water from the tap, into the pot and straight onto the stove! Whilst we’ve moved on from whisking manually, to the electric whisk, nothing can rival the convenience of the electric mixer. You can walk away and leave the mixer to mix to your hearts content, without having to hold the whisk over the bowl. Whilst it may seem like we’re grasping at straws, if you’re busy in the kitchen, anything that can make your cooking experience easier is essential. Say you’re mixing the batter for homemade fish and chips, but you need to fry the homemade chips – the electric mixer will mix the batter whilst you cook away! It’s handy for those who always take on too much in the kitchen. That’s our list, we hope you enjoyed our picks! Pick these appliances up to take your cooking / kitchen to the next level. Appliances to make your kitchen run much more smoothly.